Higher Things - a Lutheran Youth organization with conferences, magazine articles, and Bible studies. HT Daily Reflections provides short daily devotions. A daily devotional for all. Start your day. End your day. Take a break in the middle. 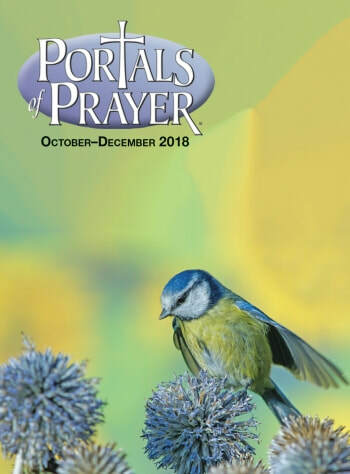 No matter when you need it, Portals of Prayer inspires you to live each day in Jesus’ name. Luther's Small Catechism covers the six chief parts of the Christian faith, daily prayers, and God's Word for living in our vocations. Christian Cyclopedia (LCMS) - A compendium of historical and theological data. The A.C.E.L.C. provides resources that examine some errors within our LCMS. Issues Etc. 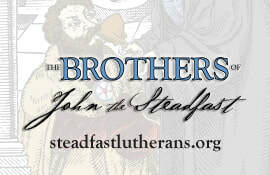 - Lutheran radio program which addresses current issues and life in the church. Worldview Everlasting - A video blog "Committed to knowing nothing but Christ, and Him crucified for the forgiveness of sins… and wondering why the Church in America has forgotten…"
Peace Lutheran is a member congregation of the Lutheran Church Missouri Synod (LCMS) in the Nebraska District. If you are in Lincoln, NE and the surrounding area, you can turn your radio on to 95.7FM!